The Park of Gardens is located in the green heart of Ammerland. A fascinating insight into garden design can be gained from the 14 hectare park with its more than 40 theme gardens, its plant collections and contributions, and its swath of flowers comprising thousands of spring and summer-flowering plants. Professional garden design companies provide ideas on how individual concepts and clever implementation can be used to create green oases. 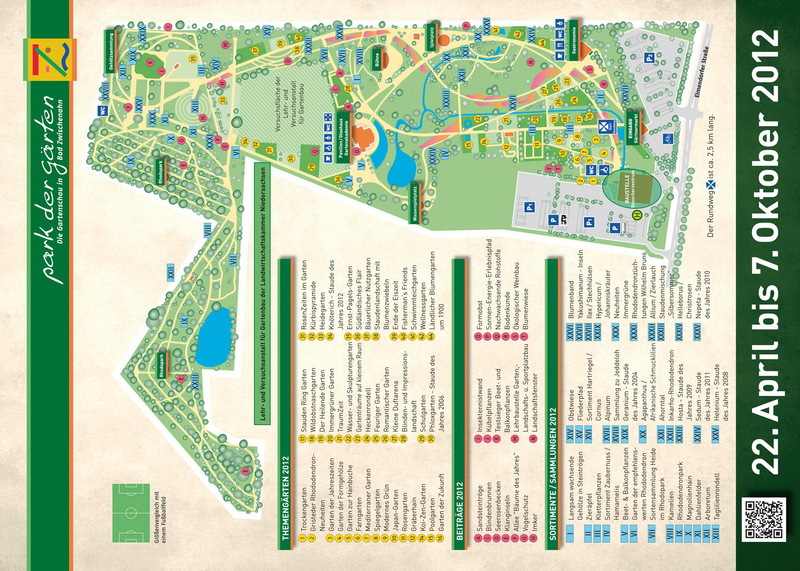 The park has much to offer – to explorers, plant lovers, plant connoisseurs and those who are hungry for knowledge, and also of course to families and those who just want to unwind. A large number of lawns, open spaces and playgrounds are an invitation to play and enjoy some time outdoors. The new visitor centre gives visitors an impressive foretaste of the park. Here, the interactive exhibition “Green Treasure Chest” unites botanical theory with park practice and the park’s large variety of plants. 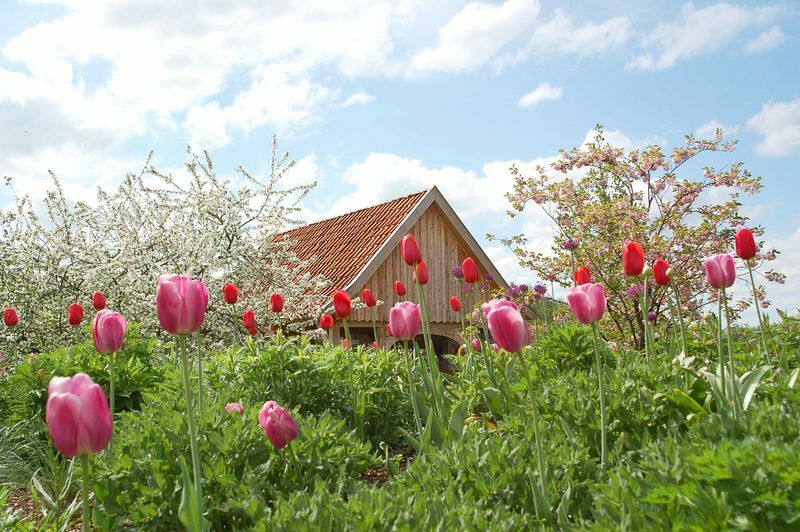 Visitors can expand their knowledge of gardening at the Niedersächsische Gartenakademie located in the park. A set of gardens unparalleled by anything which can be found far and wide is situated at the heart of Ammerland’s Park Landscape, not far from the western shore of Bad Zwischenahner Meer. Visitors are presented with pure garden culture on an area totalling 14 hectares in the Gartenkulturzentrum Niedersachsen (Lower Saxony Centre of Garden Culture) – the Park of Gardens. The opening of the first section of the Centre of Garden Culture in 2000 was the starting signal for these grounds. 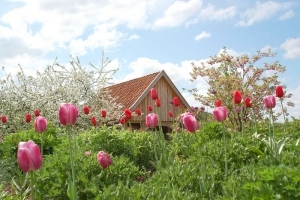 Two years later, the solid foundations of the Centre of Garden Culture provided a basis for the ensuing first Lower Saxony Regional Garden Show lasting 171 days, from April to October 2002. Well-known landscape architect Hans-Joachim Adam (Hanover) was responsible for the overall planning of the park. The park’s structure is in keeping with the pattern of classical landscape architecture. The Park of Gardens reveals itself to visitors along curved paths as a sophisticated work of artistic garden design. Lines of sight – classical elements of semi-natural landscape architecture – open up views into the distance, while every turn provides a completely new perspective on the various sections of the garden. More than 40 theme gardens which are constantly redesigned by gardeners from the region provide examples of vibrant and individual garden landscaping. Enchanted small biotopes take their place as equals here alongside wildly romantic natural gardens, gardens encompassing the ideals of classical formality, and new trends in design or quotes from the history of garden culture. Sweeping swaths of flowers create a harmony of blossoms between the various gardens and the individual areas of the park. 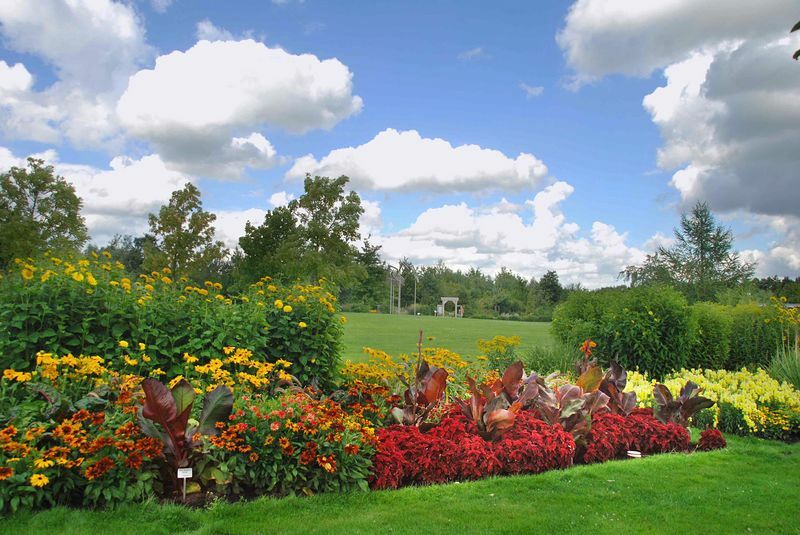 The 26 flowerbeds cover a total of 1,700 square metres and undergo seasonal planting annually in the form of 29,000 flowering bulbs and 13,000 summer flowers, perennials and grasses. A total of 9,000 plants in the park are labelled and tagged with QR codes, enabling visitors to obtain further information on almost every plant. The plant displays in the central glass house are changed monthly, presenting seasonal changes in nature’s beauties and rarities. Together with the adjoining arboretum, the approximately 3.5 hectare rhododendron park is home to about 2,000 different species and kinds of rhododendron, 700 different conifers and over 400 heathland plants. It plays an important role as a gene bank and as a conservation and comparison garden. This is one of the most comprehensive collections of outdoor rhododendrons on the European continent. American, Belgian, English, French, Dutch, Australian and Czech breeds can be found here alongside German species. A more extensively landscaped garden and typical plant collection come together in spectacular fashion once more in the Ahorntal (Maple Valley). Approximately 100 species and types of shrubs and trees have been planted here, among them more than 40 species of maple alone and 9 species of oak. Among the wealth of botanical collections, the display of daylilies is particularly worth mentioning. The international American Hemerocallis Society (AHS) has designated the circular display of daylilies in the park as the 1st international AHS display garden outside North America. The interactive exhibition “Green Treasure Chest” links botanical theory with park practice in a unique manner. Various activities in a variety of media formats enable visitor to explore subjects relating to “The Plants in the Park” interactively on an area of about 250 square metres. But the Park of Gardens does not simply stand for gardening highlights – it also has a lot more to offer: informative events about gardens and nature and a programme of entertainment are typical of a varied and entertaining season which takes place every year from the end of April to the beginning of October. Opening times: Mid of April until beginning of October 9:30 – 21:45. For actual information see www.park-der-gaerten.de. There is a great variety of special offers for groups and guided tours. See website for details or contact the park manegement by e-mail. Beschilderung im Park und an den Pflanzen: Plants are labelled and have QR-codes. Plant list available for inspection. See www.park-der-gaerten.de and visit the exhibition „Grüne Schatztruhe“. Accessibility – in the park/ garden from the car park: All main paths are fully accessible. Pushchairs etc. will be provided.